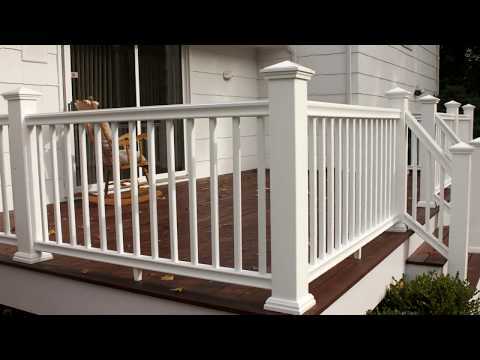 Railing Dynamics, Inc. has created Transform Railing. Designed for outdoor areas, Transform Railing revolutionizes the railing market. RDI’s railing products don’t contain wood, but retains wood’s look and feel. Available in a range of colors, Transform Railing’s surface is made from acrylic, so that railings won’t rot, discolor or sag, leaving you with a lifetime of beautiful, protective railings. Rigorously tested by agencies for its strength and durability, Transform Railing exceeded industry standards for loading bearing weight. Transform Railing has been designed for the DIY market in mind, so anyone can furnish their outdoor areas with safe and stylish railings.